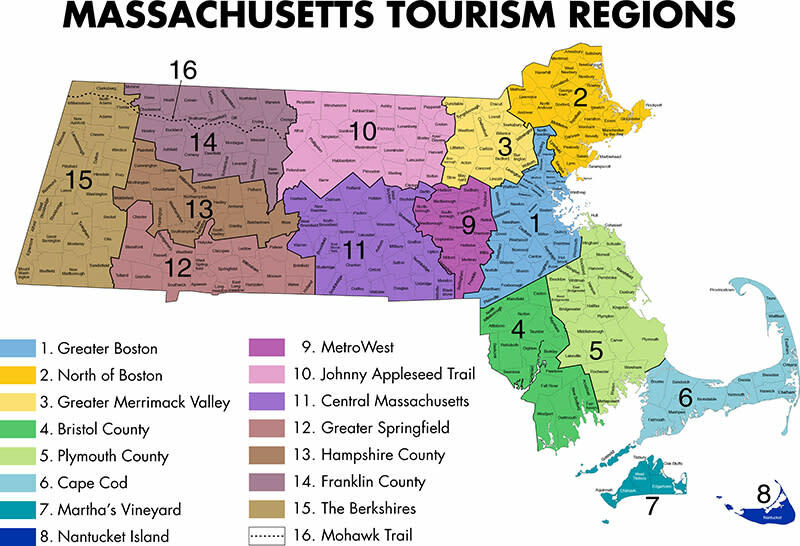 The State of Massachusetts has created 16 individual tourism regions and each region has a Regional Tourism Council (RTC) for the purpose of marketing and promoting the state geographically. The largest of these RTCs is Greater Boston, which includes the municipality of Boston and 43 cities and towns in the eastern portion of the state of Massachusetts. Many of the towns are suburban to Boston and have their own unique styles and neighborhoods. Some are part of the 26.2 jaunt of the Boston Marathon and others are quaint New England towns. Tourism is a vital economic part of the region’s and state’s economy. The Greater Boston region has many well-known museums, attractions, parks and recreational facilities as well as entertainment venues. Our sporting teams are world renowned and our accommodations range from five star, boutique, to family friendly. The Greater Boston region is a leading culinary destination for residents and visitors with restaurants run by some of the most famous chefs in America featuring menus from around the world.